Welcome to this week’s Friday Fiction Facts! Sciency things fiction-writers need to know. First of all, I have to tell you, I am not an astronomer. Actually, I have very little training in any kind of space science. One time I signed up for a course in quantum mechanics, which is somewhat distantly related to space science, but I dropped it because a test was coming up soon and I seemed to be the only one in the class without a physics degree. Also I had no idea what anyone said after the third lecture. So perhaps you should not listen to me. But I hope you will anyway. What I am is a materials engineer by training, a science writer by the generosity of some fine editors (don’t you look dashing today! ), and a mother by sexual relations with my husband. Put these together and you get someone who loves science, loves picture books, and REALLY loves picture books with science. But sometimes picture books make me sad. Why do picture books make me sad? Well, I’ll tell you. Aliens and underpants trampolines, yes. Flaming space meteors, no. Imagine me, sitting in my upholstered blue rocking chair in my child’s room, reading away about how aliens in underpants saved the world. All is going well. The underpants-loving aliens have swooped down, stolen underpants from people’s homes, stitched together a huge underpants trampoline, and are stretching it out to catch a meteor that is about to obliterate earth. All of this I can go along with. I mean, four hours is probably not enough time to create an underpants-oline, the aliens would probably have been spotted, and I doubt the tensile strength of stitched-together underpants could really resist a speeding meteor, but within the framework of the story, it is possible. I mean, they are aliens. Clearly they are going to have some awesome tricks. But on the page with the meteor, there is a problem. Way above earth the thing is, and it is red hot and burning. Burning! Argh! So I point out the illustrator’s error to my preschooler. And do you know what he says? He says “Why?” And did you know, ‘Why’ is like a crack pipe to a mother scientist? The next thing I know I am answering questions about vehicle re-entry and friction and combustion and looking up information about burning stars and meteors and comets and suddenly it is 10PM and my kid is not at all sleepy, which means I am not going to get to drink red wine and watch Dexter before bed. And that makes me sad. You don’t want me to be sad, do you? Here is why meteors heading toward underpants way out in space do not burn: Meteors do not burn up until they hit Earth’s atmosphere. Meteoroid, meteor, meteorite. Note it starts and ends as a flameless rock. 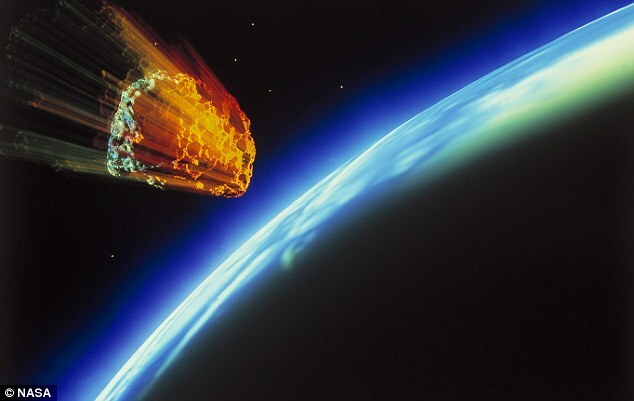 Meteors (technically meteoroids at first) are bits of rock and metal that are flying around in space, free and happy, until they begin to collide with earth. And as they get closer and closer to the surface they DO often get red hot and burn up, but – and here’s the important part –not until they enter earth’s atmosphere. The reason for this is friction. Those hunks of metal or rock move so fast that particles of air and gasses in the atmosphere rub up against them fast and hard enough that everything gets really really hot. Hot enough to vaporize, melt, and glow. Space doesn’t have all these gasses to rub up on the meteor – the atmosphere does. Earth’s atmosphere has saved us from many an impact, in fact, underpants wielding aliens aside. So if you want to draw a meteor coming towards earth way out in space, make it scary and fast and rocky and metallic, but not on fire, OK? Want to know something else that makes me sad? 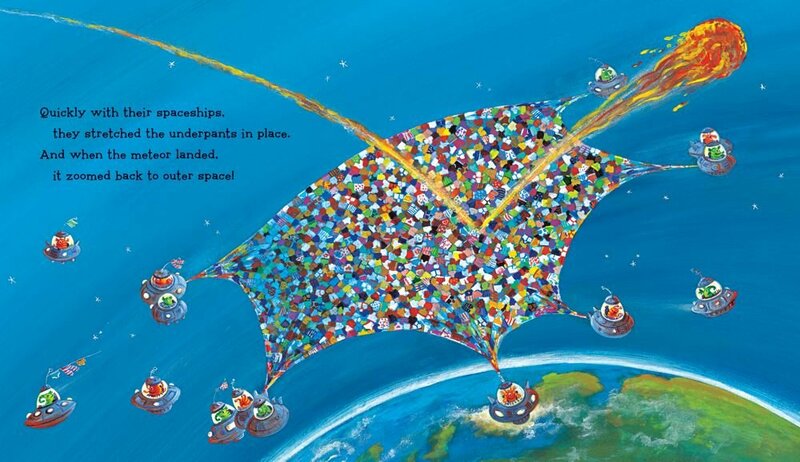 Children’s picture books often misrepresent gravity. Now, it is true that scientists are still arguing about exactly what gravity is, and where it comes from, but they have a pretty good idea of how gravity works on spacecraft in and around earth –including the moon. 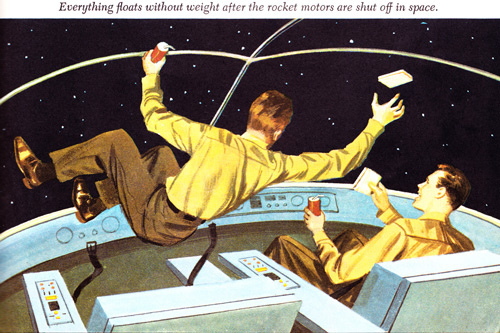 Everything floats without weight AFTER the rocket motors are shut off in space. A common error is that astronauts (be they children, animals, or experiments) are often depicted as experiencing weightlessness as soon as a rocket takes off. Sadly, that is not the case. In fact, during takeoff, everything inside a spacecraft experiences extra Gs as the acceleration of the rocket smooshes the astronauts back into their seats. It’s the same kind of smooshy heaviness you feel when you accelerate really fast in a car, or an airplane, or the bottom of a roller coaster. Your body wants to stay where it is, while the thing you are in moves faster and faster. Remember, takeoff smooshy, not floaty. But, you say, I’ve seen astronauts aboard the International Space Station, and they are floaty! Yes they are. They are no longer accelerating away from the earth. The reason why things in earth orbit—like astronauts in the ISS for example—experience weightlessness is not because they are too far away from earth to feel its gravity. It is precisely the opposite. Earth’s gravity is pulling and pulling on them all the time such that they are in a kind of free-fall. Thankfully the fall is gradual enough and at enough of an angle that the astronauts aboard the ISS don’t plummet into the ground, but they are falling around the earth – and that makes them feel weightless. If you need a visual, imagine how you would feel if you were in a falling elevator that never reached the ground. Finally, there seems to be some confusion about moon gravity. The moon is far enough away from Earth and has enough gravitational pull that Neil Armstrong and Buzz Aldrin did not get sucked off the surface. So, that’s a good thing. And the moon’s gravity is indeed less than earth’s, so astronauts do weigh less than on earth. That’s why the astronauts kind of bounce on the moon landing videos. But that doesn’t mean that things will spontaneously float up into space. Space Boy packing on Earth, where the food (and gravity) is well-behaved. 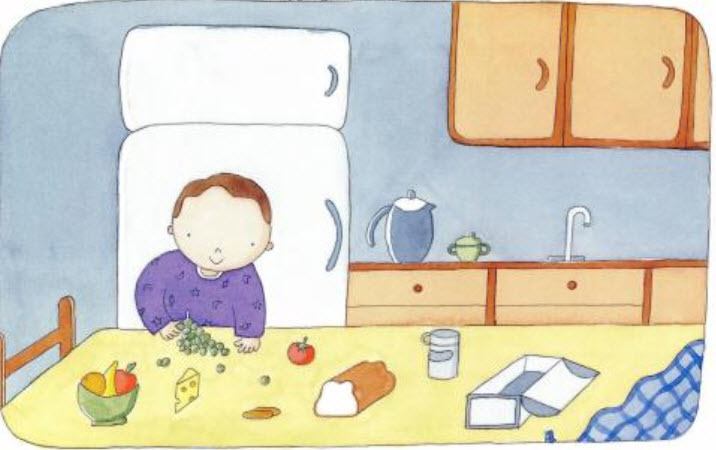 I have an otherwise delightful children’s book in which a boy, his spaceship, his blanket, and picnic basket stay on the moon’s surface without any trouble, but his sandwich – only the sandwich! – decides to float away. I am willing to believe that a boy can take his own rocket to the moon, but a magically floaty moon sandwich is just too much. In fact, this example comes from a book I purchased at the Smithsonian Air and Space Museum. Nobody wants to be the author or illustrator of a book at the Air and Space museum with erroneous moon gravity. Plus, magic moon sandwiches make me sad. So, you talented authors and illustrators of children’s books who do so many things so, so well, don’t forget us science moms when you are working on a book about space, or rockets, or the moon. Some of us REALLY need our red wine and crappy TV. 4. Golden Press Weekly Reader Children’s Book Club Series.